I recently posted this comment in a discussion Facebook, and thought it would be useful to post and preserve here as well (with slight edits). The discussion concerned the breadth of “non-education” issues and positions taken up by union delegates at the 2018 NEA Representative Assembly. 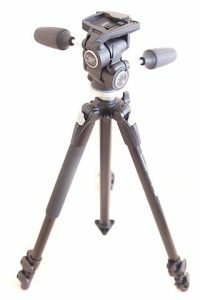 In my union “upbringing” I was introduced to the idea of a tripod of union work: labor, profession, and social justice. Labor is the bread-and-butter of union work – contracts, salary, benefits, working conditions. Professional work is our interest in better teaching and learning. If we are not working collaboratively to improve teaching and learning, we are not true professionals and have less justification for professional salaries and benefits. Social justice concerns the wellbeing of our students’ families, our own families, our communities. When blamed for problems beyond our control, teachers and unions are quick to point out that we alone cannot close achievement gaps that result from social inequities. Having then acknowledged the social forces that present inequitable obstacles for our students, how could we credibly decline to use our collective voice and power in the work of dismantling those obstacles? Social justice ?? That’s politics, not education. This is a leftist concept where everyone is supposed to be “equitable.” The problem is that what is equitable is often not to give people the same amount, but rather to give what is proportionate to their efforts. And who is to decide the common good? A group of bureaucrats? “The common good” becomes the excuse for control by the state. That was the excuse on which totalitarianism was built. You can achieve the common good better if there is a total authority, and you must limit the desires and wishes of individuals. Don’t believe me or think I’m exaggerating? Think of what happens when someone differs about “social justice” concepts today. They are bullied out of careers, kids taken away for “proper education,” etc. Thanks for your comment, Jo. You’re right that social justice goals are political. Education is also political. An education system/philosophy that claims not to be political is still political, in that it seeks to limit understanding and prevent change to the existing political structures and dynamics. Now, if your concern is that schools should not be partisan in their politics, I agree. There is of course a risk in any political philosophy or “–ism” taken to extremes or operating without some checks and balances. However, the risk of an extreme outcome doesn’t strike me as an excuse for avoiding the effort. After all, the opposite of “the common good” would be individualism, and we know that the extreme version of that would be barbaric. So, if we can set aside the extremes, maybe we have some common ground nearer the middle. Injustice and inequality are facts of life. I think we should try to seek and enact remedies. Do you agree? If we can agree on that broad principle, then there should be some healthy debates in society to determine appropriate steps that move us in the right direction. For example, a century ago, women couldn’t vote. We reached a point as a country where that injustice was no longer tolerable, and there was a political process to rectify it. Before the ADA, people with disabilities were not ensured access to public facilities and were denied inclusion in many aspects of public life. Again, a consensus emerged and a political process led to a change. If you don’t agree that injustice and inequality exist, or if you don’t see a role for people working together to mitigate those problems, then I’d be curious to learn how you came to those conclusions.